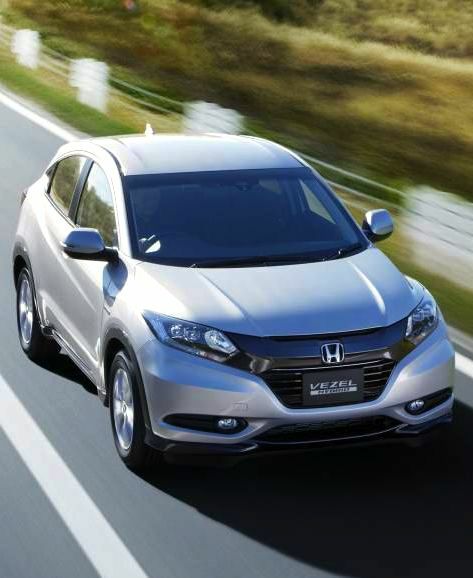 Honda has unveiled the Vezel compact SUV at the 2013 Tokyo Motor Show. The Vezel is the production version of the Urban SUV Concept, first unveiled at the 2013 Detroit Motor Show earlier this year. The Vezel is Honda's second Global Compact Series model, after the Jazz. Honda aims to sell 1.5 million units from this category by 2016 across the globe. 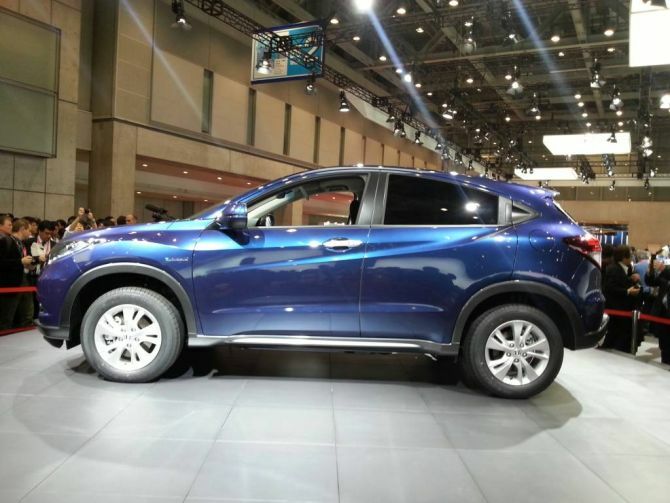 The Honda Vezel will compete with the Renault Duster and Nissan Terrano in the Indian market. It is expected to be priced between Rs 9-12 lakh. 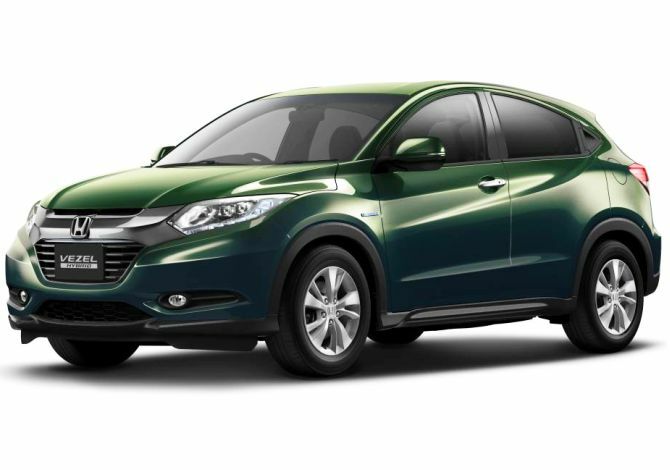 Powering the Honda Vezel in Japan is a hybrid powertrain while in India we will get 1.5-litre petrol and diesel engines. 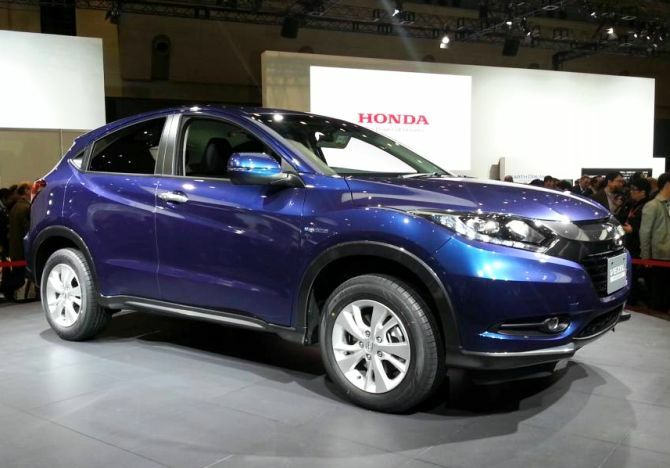 The Honda Vezel sees design inspiration from the CR-V. The styling is a mix of SUV and coupe as can be seen in the sloping coupe like roofline and hidden rear door handles. Honda will start sales of the Vezel in Japan on 20th December while an India launch will only take place in 2015. Honda claims the Vezel has plenty of interior space, just like a mini-van. Other interesting bits include a centrally mounted fuel tank, flat floor and magic seats, all of which come from the Jazz. The Vezel is based on the new Jazz platform. 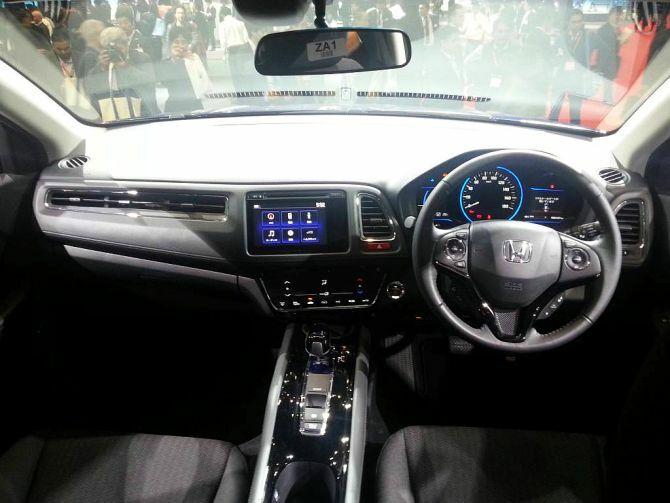 The Honda Vezel gets a dashboard, which is similar to the Jazz and CR-V. The left side AC vent is very different with a long arrangement rather than a round or rectangular one. Honda has given the Vezel quite a lot of features but what all will be offered when the car goes on sale in still not known. How to safely stop your car when brakes FAIL!